The 30m CW interest group encourages CW activity on 30m to ensure that we do not lose this very special prime CW band to other modes, nor lose it to other primary services. The best way to do this is to be active on 30m as much as possible. Please use the forums as often as you can for friendly exchange of information about 30m activities, nets, news, propagation, antennas and sharing of personal experiences and nice QSO on 30m as well as anything else related to 30m of interest to 30m CW operators. You must register with a username of or including your CALLSIGN or change your settings to screen name CALLSIGN or including your callsign so you can be assigned a membership number. Evening 12 NOV 30m QSOs near 10112 kHz: local static QRN again quite heavy, and very few signals on band. DDK9 weak, also WWVH on 10000 kHz weak and lots of QSB, propagation show conditions as fair. Only 2 QSOs, many thanks to: IT9DQT and IK7XJA (30CW152) Franco, latest member to 30CW! 11NOV 30m QSO TNX: 3W3B (Vietnam), DK6HN, DL8FBH, EA4EPY, HB9AUK, IK7XJA, RX4CD, RX6B, S57V, UR4EZ, VK6RR (30CW2), VK7AD. Many of the European QSO were with modest power (100W) and modest antennas (dipoles). Most QSO 1530-1630Z on 10111.1kHz. Hope CU TMW, look for me around 10112. Evening of 10 December: All Asia CW Net (see nets) with HS0ZEA and JL1MUT (30CW12) on 10149 kHz, then a nice time with many more QSO on 30m: LY5A, OU5U, DL5CL, DL4ZM, F5TFW. Including modest barefoot stations with similar set up to mine still RST 559. And HA8VK on 20m as lone signal here on the CW band. My report for 9 December: I called CQ for hours though the band was open (30m is open 24 hours a day) although conditions were on the poor side, finally had a weak RST 339 calling me: it was OM Dave VK4YD, we then had a nice QRS QSZ QSO. (QSZ: repeating each word twice). Today 10th December at time of writing, I put on my auto-CQ beacon (not used it in over a year, got it working without too much headache, twisting wires together) calling CQ on 10110 and called OM Tim VK3IM to ask if he could hear me, as coincidence would have it he was just about to answer my CQ, having come across my signal. Had a long rag chew, and now back to auto CQ while relaxing in the living room until any answers. If you have any problem to post in the forum or get a "permission denied" please send a message to VK5EEE asking for help and giving details of your problem. Thank you. a new initiative. Not a contest, but a QSO party. Call CQ any day, especially on the +30 minutes half hour, and around X kHz above band edge where X is the date. So for example, today is the 9th December, so 10109, the 31st will be 10131. Always check frequency is clear with QRL? Please exchange your name, 30CW Nr and QTH on first over, and on the 2nd, your station details including power and antenna and even what Morse Key you are using. If you have a positive experience or suggestions or comments, please post them here in the forum or as a reply to this post. Re: Is this club still working? in discussion Community / Open Topic » Is this club still working? 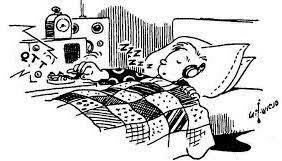 in discussion Community / QTT Activity » Calling CQ now.. True! I'm having wonderful openings through the night to Europe short path. As soon as 20m closes to Europe, or even before that, 30m opens up! It's the only band I can get Africa, Asia, Europe and America ALL at the same time (aside from 40m which is more when I'm asleep!). I'm trying to get more active and think up ideas how we can get more active on 30m. Is this club still working? I joined the club but I cannot see my call sign on the main page. Anybody still active on here? I only see old posts! Yes I'm surprised. Such a beautiful band and people don't seem to use it much! in discussion Community / 30m Propagation » CONUS Propagation Improving??? & it'll be nice to see some more activity on it, this season. New member here — thanks! Have had a daily sked with a DR OC/Elmer who recently relocated. What was once a pretty solid over-the-mountains NVIS QRP chat became a cross-country struggle between our busy daily schedules and terrible band condx. He suggested 30M, and after setting up a quick quarter-wave above ground vertical with two radials, we are back in business. I run about 50 watts, and that helps with the QSB and QRN. Hope to improve this by raising the antenna a bit. Seems like band is improving day-by-day, or maybe I'm just hopeful. I'm loving 30M, and don't seem to have any QRM issues. He's hit with QRM sometimes, but we manage to keep our sked. I'm amazed there's a band for CW and narrow-band modes only, and so very pleased that contesting is not part of 30M. Mario and 30m CW friends! A year later, and still the same great LP propagation on 30m at these times. Mario you and I have the same antenna but mine is much shorter, a half wavelength at 30m, but the ends are bent down 1.5m from each end. Amazing signals from F5NTV on 10112.5 RST579 peaking 589, gave me 579 for my 50W, Bruno F5NTV station is formidable: 500W to a 2ele Yagi up 18m! So nice to hear a loud EU signal above the local S6 noise level here in suburban Adelaide. DDK9 barely audible below noise level, with its high power but omni directional higher angle antenna. TNX FER joining 30CW and it was nice to read your profile and also your page G5XW and truly wonderful that you have your father's callsign, a G5 two letters, that's great! I hope to get more active on 30m again, local noise levels have been keeping me off the band since a change of QTH, in spite of having a dipole up broadside to Europe. Maybe some time I can also get to use my QCX 3W QRP rig which was built for 30m. Meanwhile I hope to read your reports and others about 30m CW activities and news! :D Not a dickie bird. A bit early in the year to expect through-the-night propagation at this QTH. The band sounds completely dead except for that RTTY at 10.100. I'm calling CQ on 10.118 about 13WPM, 0219UTC Sunday Morning.